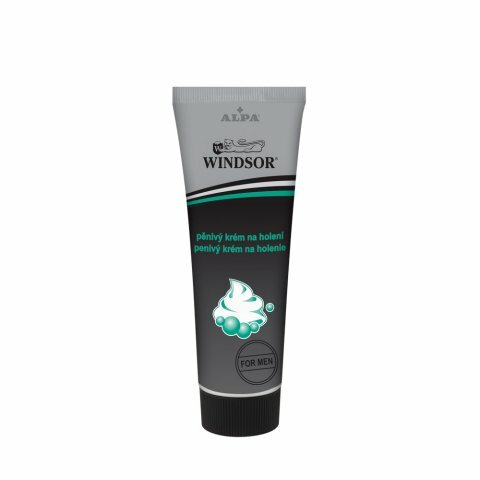 This foaming cream is suitable for the shaving of all skin types. It contains coconut oil and glycerine, making the skin moistened and soft. The cream is applied to the face moisturised with tepid water, and after creation of foam (with a brush) you can shave in an ordinary way.